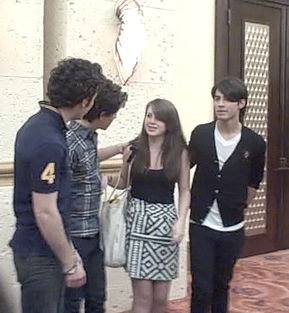 My cousin was kind enough to let me use her Jonas Brothers pictures, which she took during a visit to the Atlantis Resort, Bahamas in December, 2008. The musical group consists of three brothers: hence the name. 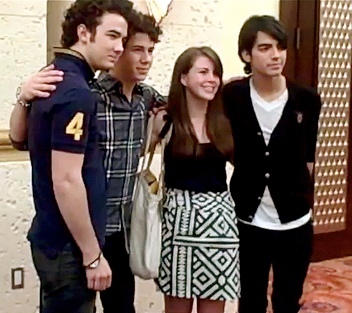 Here is my cousin, Emily, with the members of the group: Kevin, Nick, and Joe. 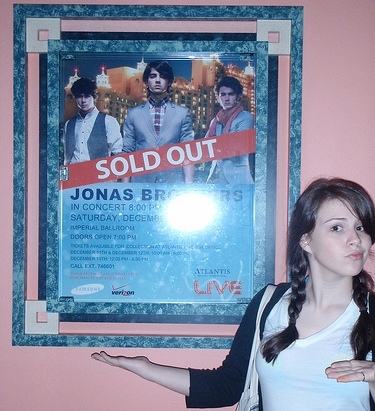 I didn’t attend the concert, but it must have been a success because Atlantis booked the group to perform several more times during 2009. Well the concert was amazing, and we were front row which made it great. 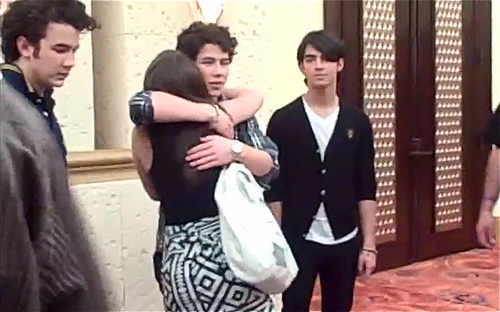 They were cute and talked to the audience a lot. 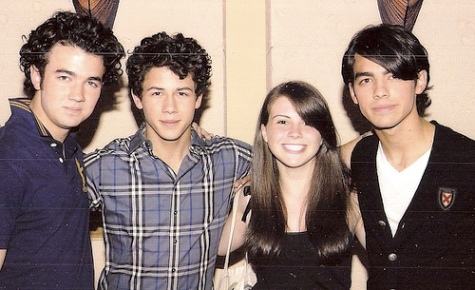 Emily and her friends said all three of the brothers were not only kind and polite to all the fans but that they also spent time greeting and taking pictures with everyone without seeming impatient or rushing.